Angel Cottage01263 715779work01603 870304fax Self-cateringAngel Cottage, a spacious cottage situated on the green in the village of Burnham Market with its interesting shops, restaurants and pubs, is an ideal location from which to explore the countryside and coastal villages and towns of North Norfolk. There are beaches at Holkham, nature reserves at Cley, Holme and Titchwell and attractions like golf, sailing, boat trips, walks, cinema, shopping in Blakeney, Brancaster, Fakenham and Hunstanton. Front view of attractive Georgian cottage, situated on the Village green overlooking the church. Angel Cottage offers weekly bookings starting on Saturday. 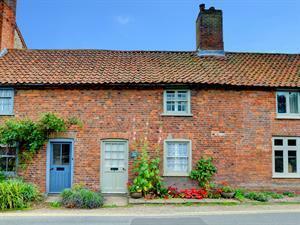 Angel Cottage, a spacious cottage situated on the green in the village of Burnham Market with its interesting shops, restaurants and pubs, is an ideal location from which to explore the countryside and coastal villages and towns of North Norfolk. There are beaches at Holkham, nature reserves at Cley, Holme and Titchwell and attractions like golf, sailing, boat trips, walks, cinema, shopping in Blakeney, Brancaster, Fakenham and Hunstanton.